Should you have been in Newcastle any time over Christmas, or up to February this year, and looked across the Tyne towards Gateshead, you would not have been able to avoid the gigantic image of Hollywood superstar Bill Murray looking right back at you from the façade of the Baltic. 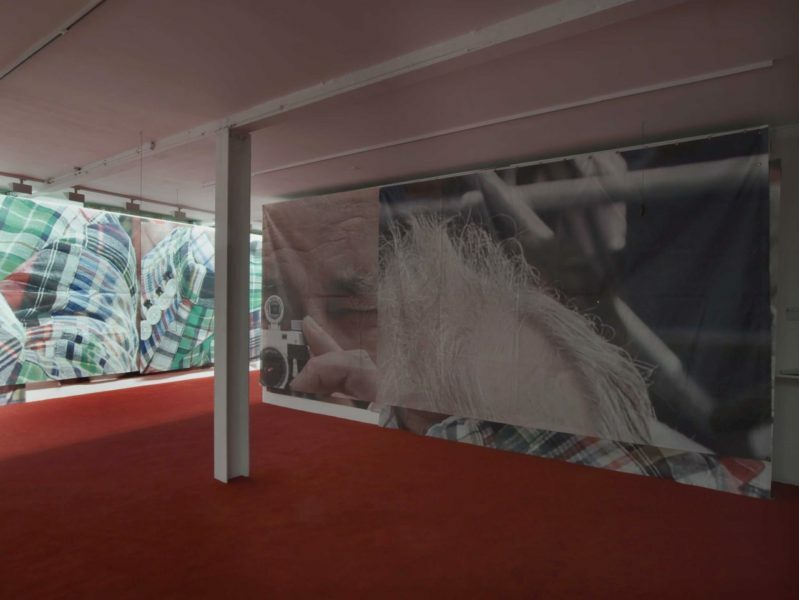 For his solo show at the gallery, London-based artist Brian Griffiths created a 20mx20m banner that reproduced a shot of the actor on the red carpet, wryly turning the tables on the phalanx of paparazzi by training a miniature vintage camera back at them. For his current show at Vilma Gold in London, Brian Griffiths has taken that banner and cut it in to 30 equal sections that now line the walls of the gallery. Not what you could properly call a straightforward homage to Murray, the artist talks about using him as ‘material’. 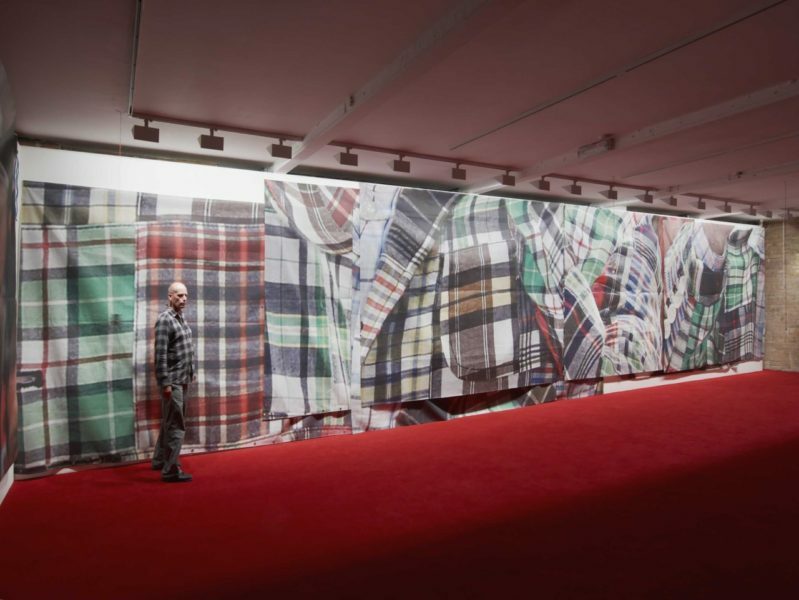 So walking into the space, softly over glamourous red carpet, you are confronted by an abstracted version of the man, his check shirt and jacket rendered in overlapping sections, still readably gigantic, but somehow semantically shuffled. 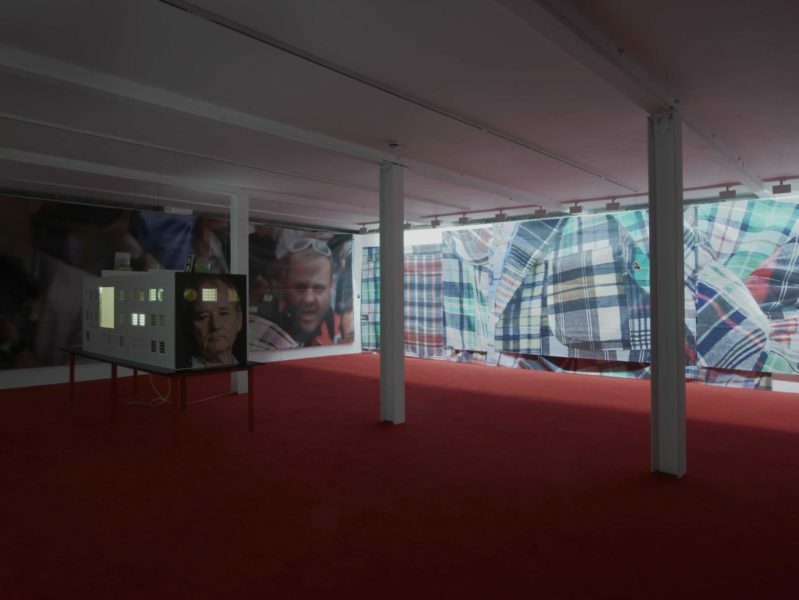 Little squares of checked (the Americans would say plaid, I think) fabric hang down on strings around the gallery. 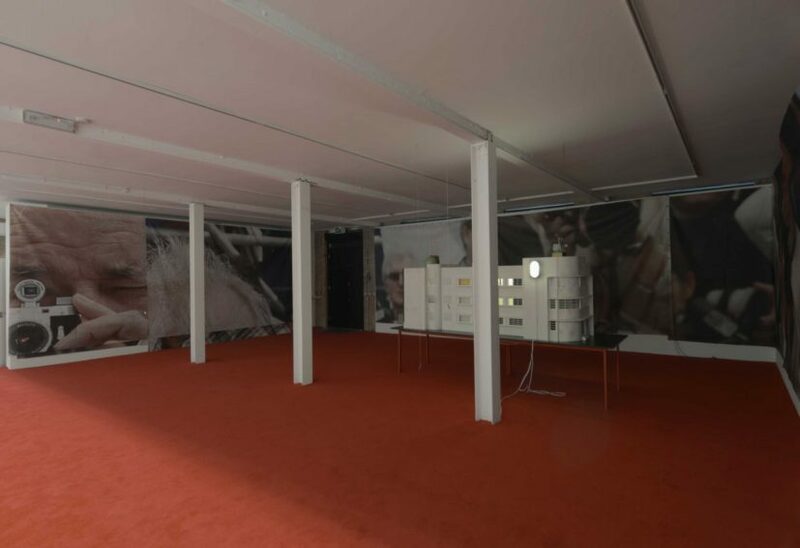 The two three-dimensional sculptures in the show, both part of the Baltic exhibition as well, are called Art Deco Time and Tudor Time, 2015. 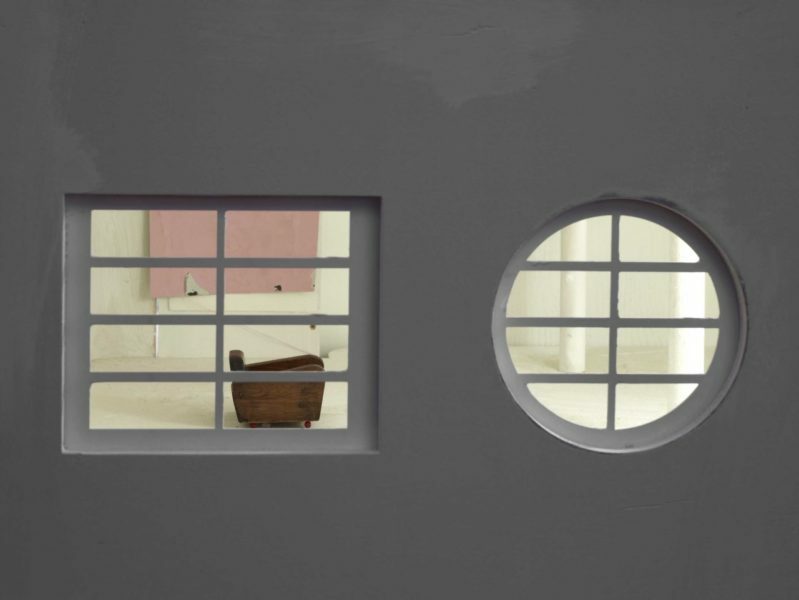 Sitting somewhere between architectural models and doll’s houses, they are imagined homes in contrasting styles, invented by Griffiths. Both works carry images of the actor’s face: tanned, what you could call ‘rugged’ if you were being kind, or perhaps ‘lived-in’. Murray’s gesture of humorous defiance in lifting a camera to the paparazzi acknowledged his own status as a visual commodity, as well as the futility of his attempt to subvert the contract between movie star and media. In Art Deco Time, there is a window cut in to the centre of Murray’s forehead, behind which sits a tiny armchair. Tudor Time is for me the standout piece. 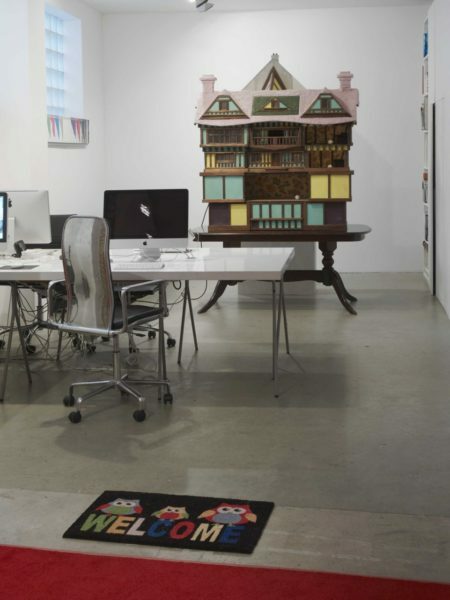 A miniature mansion built as if by an American millionaire in a pastiche of folkloric European styles, giant golf balls sit incongruously in the centre of some of the rooms, a reference to Murray’s well-known love of the sport. Look further into the doll’s house rooms and they are papered in creepily shabby, flower-sprigged wallpaper, all a bit peeling at the edges. Of course you cannot escape the Freudian interpretation of the house as a metaphor for the self. In its use of found materials and mythological bent, it is reminiscent of some of Griffiths’ most notable work from the early 2000s, such as Boneshaker, 2003. If you are at all aware of the steady stream of extraordinary students currently emanating from the Royal Academy Schools in London, you may also be interested to know that Brian Griffiths has been teaching there for a number of years now. Griffiths is very much a hands-on maker of objects, a collector and hoarder, an archivist of a bewildering range of materials with which to effect his works. 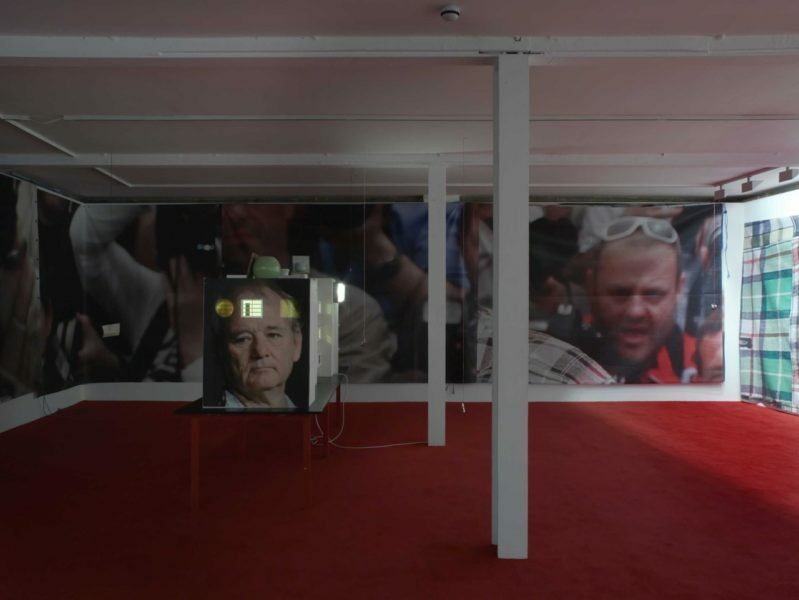 By activating Bill Murray, or ‘Murrayness’ as a material in the show he positions the world of things up against the flat, digital, transactional world of images that we simultaneously inhabit. It is a critical as well as a generous and laconic position to inhabit. That seems about right.